The smell of freshly cut lavender – like so many fragrances, it has the power to conjure up a whole set of memories and feelings – imagine being able to share that with someone on the other side of the earth. Today, our interaction with a smartphone or a computer is essentially audio-visual. Adrian David Cheok, Professor of Pervasive Computing at City University London, wants to involve all of our senses. “Imagine you’re looking at your desktop, or your iPhone or laptop – everything is behind the glass, behind a window, you’re either touching glass or looking through glass. But in the real world, we can open up the glass, open the window and we can touch, we can taste, we can smell. So, what we need to do is we need to bring computers – the way we interact with computers – like we do in the physical world, with all of our five senses,” says Professor Cheok. To communicate smells via the internet, Cheok and his team have created the “Scentee” device, which connects to an app on your smartphone. An aroma is released when you receive a text message or when the phone clock alarm goes off. “Scentee is a small device than you can attach into your mobile phone, into the audio jack. 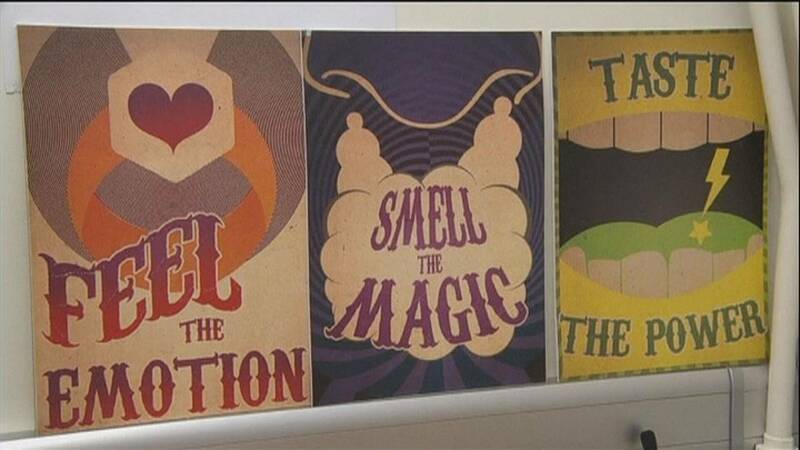 And what happens is that it allows you to send a smell message through your mobile phone. So, for example, it could be someone’s birthday and you can send them the smell of strawberry,” explains Professor Cheok. Fragrances include florals like lavender and rose, fruit like strawberries or invigorating aromas like coffee. One device plus 3 aroma cartridges will set you back some US$70 or around 60 euros. Each replaceable cartridge contains around 100 sprays. Its developers say the technology can also be used in tandem with a smart phone alarm clock to fill a room with an aroma and influence a person’s mood. But Cheok wants to go further, beyond smell, and offer users a chance to share touch via the internet. So, together with a team of researchers in Japan, he has developed what’s been dubbed the "world's first tele-hug ring". “With this device here – it’s called RingU and you can put it on your finger – it connects to your smartphone so you can connect to anyone in the world through the internet. So I can be in London and my friend can be in Tokyo, and I can squeeze my finger and then they’ll get a squeeze on their finger through the internet. It’s a way of touch communication with small mobile devices,” says Professor Cheok. When one user “hugs” the ring, the touch sense is digitally transmitted to the recipient’s ring which then replicates the sensation. The ring communicates with your smartphone using Bluetooth technology. It can even display the date, time and location so-called “hugs” were sent and received. Moving on to taste now, and Cheok’s most surprising invention: the “Electronic Taste Machine”. Wedged between two metal sensors, your tongue is tricked into experiencing various tastes, ranging from sour to bitter, salt or sweet, depending on the frequency of the electrical current passing through the electrodes. And like with the other devices, these electrical signals can travel through the Internet. Cheok is the founder of Singapore’s “Mixed Reality Lab”. In mixed reality, the real and virtual worlds will eventually merge as one, to produce new environments where physical and digital objects will co-exist and interact in real time.